Altcoins, or alternative digital currencies, are one of the most exciting markets for traders today. They are highly volatile, fast paced markets, in which a lot of money can be made in a short space of time. Investors are using sites like KoCurrency (which is designed to make cryptocurrecny price predictions) in order to help them maximize profile and reduce risk. But make no mistake: this is a high risk activity to get involved in, but one in which the potential returns outstrip any other market I am aware of by orders of magnitude. In this article I will introduce you to some of the ‘need to know’ facts that all beginner’s should be aware of, and provide links to some of the best resources and tools for learning how to make money trading altcoins. Note: Trading on a decentralized exchange like Bitsquare is more secure, more private, and for anything other than very small trades the fees are cheaper too. ICO / ITO: An ‘Initial Coin Offering’ or ‘ICO’ is the cryptocurrency take on an ‘Initial Public Offering’, when a company’s shares are first listed on the stock market. It usually takes place prior to the launch of a coin’s blockchain and involves the public sale of a certain percentage of the coin’s initial supply in order to raise funds for development. An alternative name for this is an ‘Initial Token Offering’ or ‘ITO’. 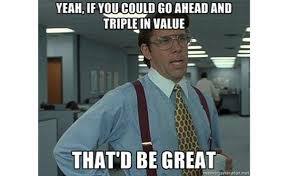 Market Cap: The market capitalization of an altcoin is the total value of all its coins. It is common practice to use the currently available supply rather than the total supply, and this may exclude unreleased premines. Market cap is therefore calculated by multiplying the price per coin by the number of coins currently released onto the open market. Premine: When some or all of a coin’s initial supply is generated automatically by the developer at, or prior to, the public launch, rather than being generated over time through a form of mining, this is called a ‘pre-mine’ or ‘premine’. Pre-mines can be used for legitimate purposes: for example to crowdfund development through an ICO, or to put into a fund for the continued development and promotion of a coin. They can also be dumped onto the market, for a quick and easy profit, by a developer who then abandons the coin and disappears in a kind of exit scam. Insta-mine: Because some altcoin enthusiasts are very wary of coins which have a premine, automatically suspecting a scam, a number of developers have sought to find different ways to gain control of a large percentage of a coin’s supply from the beginning. One way to do this is to have very easy mining for a short period after launch, during which the developers seek to instantly mine a large number of coins for very little cost. The difficulty then increases rapidly after a short period of time. Sometimes this short and highly profitable mining period may take place before a coin has even been announced to the public. This is known as an ‘insta-mine’ or ‘instamine’. Ninja Launch: A ninja launch is basically a method for conducting an instamine. It involves announcing a coin suddenly with no prior warning, with the mining beginning immediately as the coin is announced. By the time other users have had the chance to set themselves up to start mining, the developer may have already conducted their own instamine. Another ninja launch tactic is to create an announcement with only very basic information, conduct and instamine, then add more information to attract interest only after a significant amount of coins have already been mined. FUD: The acronym FUD stands for ‘Fear, Uncertainty and Despair’. In cryptocurrency it is generally used to refer to negative talk about a coin which is inaccurate or misleading, often posted in forums and through social media. This kind of FUD may be the result of a genuine fear response among the holders of a coin whose value is crashing, or it may be deliberately spread in order to suppress the price – either by competing coins, speculators looking to pick up a bargain before hyping the coin later, or just by angry trolls with some kind of grudge. PoD: Some coins have anonymous developers who do not reveal their real identity. There may be good reasons for this, and it may not hinder a coin’s adoption – for example Bitcoin’s creator never revealed his real world identity. But if the developers are anonymous then there is a greater risk that they will disappear, and this can be especially risky if there is a premine that they may be able to dump for an easy profit before they vanish. Several services have emerged which verify the identities of developers in order to prevent this kind of scam, and this is often known as ‘Proof of Developer’ or ‘PoD’. Ponzi Scheme: An investment scam in which initial investors are paid returns from the capital of subsequent investors, and an ever-increasing supply of new investors is therefore needed for returns to be paid. If there is no reason for people to buy a coin as anything other than an investment, or if its creators never intend to pursue regular users, for example, then it may be described as a ponzi scheme. Bagholders: People who are left holding a coin which has depreciated in value by a large amount, and who continue to hold in the (often vain) hope of being able to sell at a profit later on, are often described as ‘bagholders’. More general terms that you will often come across when dealing with cryptocurrency can be found in our glossary section. In many ways trading altcoins is similar to investing in penny stocks, and that comparison has been made many times in the past by other authors. But in other ways it is very different. In case you don’t know, penny stocks are the shares of smaller businesses and early stage companies, which have a much lower value than regular stocks. They are also much more volatile, often experiencing gains of more than 100% in a single day – or disappearing altogether overnight. Don’t believe the hype (or the FUD): The smaller a market is, the easier it is to manipulate. Penny stocks have always been subject to a large amount of professional hype, and this is certainly true for cryptocurrency as well. Professional promoters will hype up a coin, through newsletters and tip services, through social media and blogs and even through advertising. They may be paid by the coin’s developers who wish to increase the value of their holdings, or they may wish to increase the value of their own holdings. In either case, the kind of artificial price pump driven by this kind of hype is often followed by a price crash as the people behind it cash out at the higher price. This is sometimes called a ‘Pump and Dump’ or just ‘P&D’. In a similar way, FUD can be deliberately spread in order to artificially drive down the price so that the people behind it can pick up cheap coins. It is always true in life, but doubly true when researching altcoins for trading, that you should always be skeptical of what you read, do your own research, and make up your own mind. Be Quick to Take Losses, Slow to Take Profits: One of the biggest mistakes that penny stock traders make is to take profits on winners too soon, but keep hold of the losers until they are worthless. 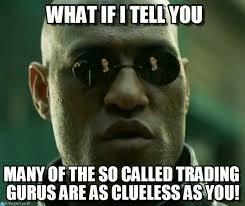 I have seen this a lot in cryptocurrency trading as well. In both of these niches it is common for the majority of your picks to lose money. When a trader sees profits of 50%, 100% or even higher in a relatively short space of time it is very easy for emotions to kick in and overtake any reasoned assessment. This may feel like a great profit, you may fear losing it and want to lock in the profit, or you may just get excited and impatient to realize your gains even though the price is still trending upwards. But because in both penny stocks and altcoins you are likely to pick a lot of losers, you need to get very high profits on the winners to come out with a good profit overall – so even a 100% profit on a winning pick may not be as great as it might seem. At the same time, many traders become emotionally invested in what they buy, and find it hard to give up hope and sell even when it is clear that the price is going down, and in this way they end up losing most or all of the value of their investment when they could have cut their losses much earlier if they had taken a more rational approach. One key difference between penny stocks and alternative digital currency is that the former may take years to realize a profit, whereas the cryptocurrency world is very fast paced indeed. Retail penny stock traders may be able to pick out companies with potential and then only check back on them every few months – in fact from one month to the next there may be little or no new information to use for re-evaluating your position. 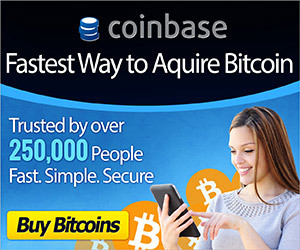 In cryptocurrency this would not be a good idea at all. You should only get involved in a market like this is if you are ready and willing to spend a lot of time at your computer, regularly checking on price movements and the latest news, and changing your positions accordingly. There are two main ways to understand the altcoin markets, forecast the future direction of price movements and therefore pick good investments: fundamental analysis and technical analysis. Fundamental analysis attempts to determine the real value of something in order to determine whether it is undervalued or overvalued. When it comes to trading altcoins this is more difficult, because they are generally very early in their development – so their value reflects potential future success rather than their current position. You can still look at a coin’s level of adoptions, the strength of the network, number of transactions and so on, but this will only take you so far. To a great extent you must rely on estimating the potential size of the market in the future and the chances that this potential will be fulfilled. Technical analysis uses price and volume data, and seeks to find patterns and indicators which can be used to forecast the future direction of price movement. For more information about how this works as well as the latest analysis for both Bitcoin and some of the top altcoins please take a look at our page on technical analysis for Bitcoin. Alternatively, you can use prediction markets such as KoCurrency to find insights on the direction that popular altcoins are heading. Cryptocurrency markets are highly news driven. You are trading assets in a very fast paced world of bleeding-edge technology, where new developments are released every day and the political / regulatory environment is still uncertain. If you want to make money trading altcoins, therefore, you really need to make sure that you keep yourself up to date about the latest news and developments, both for the coins you are trading and for the industry as a whole. By now you should have a good general idea of what cryptocurrency trading is all about, but if you want to learn how to make money trading digital currency then you will need to have some more specific strategies and techniques in your arsenal. This section is not a comprehensive guide by any means, but should give you a few ideas to get you started making money as an altcoin trader. Most coins will start off at a low price, and rise in value if they are successful. Of course this is not always the case, especially for ICO coins which may start off at a quite high valuation, depending on the structure and success of the ICO. But, nevertheless, it is usually true to say that the largest profits to be made often come from seeing the potential of a newer coin early on, before anyone else, and then riding the wave of success as other traders and users jump on-board. It is also true, however, that these very early days are the most risky time to invest in something. The technology will be unproven and may still be unfinished, and there will be little other objective evidence to look at. Investing in cryptocurrency is a high risk, high reward endeavour anyway, but this is particularly true if you buy very early on. You should therefore take care to spread out your capital over an even larger number of ventures if you take this approach in order to hedge your risk. You may also like to get involved in mining if you are taking this approach, as some coins will launch and be available to mine before they are added to any exchanges for trading. To keep up to date with the latest launches you can follow this announcements board on Bitcointalk, this one on CryptoCoinTalk, or a dedicated website such as Altcoin Calender. This is a contrarian trading tip which is very useful to keep in mind. As I already mentioned, this is a heavily news-driven market with big swings based on new announcements, feature releases, partnerships and so on. You may expect a big announcement to drive up the price immediately, but what you have to realize is that most of the time the announcement has already been ‘priced in’ by many buyers, who expected it to happen. Buying after the news has been announced can still be profitable at times, so this is not a hard and fast rule you should always follow, but it is certainly true that the best profits go to people who correctly anticipate the news, buy early (on the rumour), and then sell into any spike in the price as a result of latecomers entering into the market after the announcement. In comparison to stocks or forex or any other traditional market, there is a unique opportunity within cryptocurrency for individual investors to become involved in helping their investments to become successful. Many people will become deeply involved in the coins they support, being active members of their community of users, helping to promote them, brainstorming and critiquing new ideas in the forums, networking to develop new opportunities, setting up new sites and services, and even getting involved in developing new code through open source repositories on Github. If you have something to contribute then this can be a great way to add value to your investment whilst also getting involved in something that you genuinely enjoy and feel passionate about. It can also help you to get the inside track on what is happening, improving your ability to make informed decisions. You should be careful, however, as the more involved you become in a coin the harder it will be for you to make objective decisions if the market conditions dictate that the most profitable thing to do is to sell your holdings. It is vital when doing this that you don’t let your emotions influence your decisions about when and how much to buy or sell. When you are trading in smaller markets you may well notice that your own orders have the power to move the markets. Even small offers placed onto the books may push up the price, as others may move their own offers upwards to beat your price. It is tempting, when you notice this, to try to use this power to your advantage. Unless you are a true whale and you really know what you are doing, this is almost always a bad idea. It can be particularly tempting to do this when you see the value of a coin you own going down. Many traders will be tempted to put extra buy orders down – not because they have analyzed the price movement and think its a good idea, but to ‘support’ the price and stop it gong down further. Doubling down on a losing investment in an attempt to fight the market is a sadly common mistake, and can be have a disastrous impact on people who try to do it. Contrarian traders count on the fact that markets often overreact, and then go through subsequent corrections. According to this logic if everybody else is selling, then the price is probably ‘oversold’ and it is time to buy. If everyone else is buying, then its time to sell because a correction is just around the corner. This is perhaps best expressed by a quote from Baron Rothschild, who said one should “buy when there is blood in the streets, even if the blood is your own”. Generally speaking contrarianism is a longer term strategy, and you must be prepared to make significant losses and wait a substantial amount of time for the correction to come and your positions to move into profit. Due to this longer time horizon it can be a dangerous strategy when dealing with something as fast-paced and volatile as cryptocurrency, but nevertheless it can yield amazing returns when successful. Identifying trends and going with the flow of that trend is usually best done over a medium term time horizon, but trends can be identified at pretty much any time scale so it is very flexible in this regard – just as long as your time horizon for trades is congruent with the timescale of the trend you are analyzing. The basic principle is that if there is a general trend upwards in a price, then it is reasonable to suggest that it is more likely to continue upwards than to start going downwards. Technical analysis is very useful for trading trends, and can help you to identify potential turning points so that you can avoid the number one danger – buying at the top of an uptrend or selling at the bottom of a downtrend. Swing trading is a short-term trading strategy which attempts to take advantage of the fact that prices often spike up and down rather than following a smooth path. The idea is to identify the bottom of short-term price swings in order to ‘buy cheap’, and then sell quickly for a small profit as the price swings back upwards again, and then do the whole thing all over again. In cryptocurrency markets there can often be a larger ‘spread’ between buy and sell prices than tradition markets, meaning that a swing trader can also act as a ‘market maker’ to take additional profit from the spread. If the spread is larger as a percentage of the price than the fees charged by the exchange then this is worth taking into consideration – but you should also be aware than in low volume markets you may not be able exit your positions as quickly as you might like. Some cryptocurrencies have a very low market capitalization – perhaps even as little as $10-20,000. This means that even a fairly normal amateur trader, with a few thousand dollars to play with, may find themselves in the position of being a ‘whale’. Anybody can be a big fish in a small enough pond. Buying into a very low value coin which you believe has potential, becoming a ‘big fish in a small pond’, can be a very profitable strategy, but it is also a very dangerous one. You may well find that just your own purchases can push the price of a coin up significantly, meaning that they are worth a lot more than you paid for them immediately after your purchase – but the problem is that there may not be very many buyers around to take them off you, so you may be left holding the bag for a very long time (perhaps even until the coin has completely failed and been abandoned). One key thing to look for if you are going to take this strategy, therefore, is volume. If you can find a coin which has a very low valuation but still maintains a reasonable level of volume then this may be the perfect opportunity for you to go in big and drive up the price. Of course you should also look at the technology and other factors to make sure that you are putting your money into something that has genuine potential. You should also be aware that it is possible for people to fake volume on an exchange by trading backwards and forwards with themselves. Altcoin trading can be very fun, exciting, interesting, and financially rewarding, but you should never forget that it is also a very risky thing to do. I know I’ve already said that, but it is worth saying again now that you are approaching the end of my article – please do not risk more than you can afford to lose! At the same time, don’t be put off if you lose money, especially in your first few months. Most people will lose money when they first start out, and even very successful traders will often go through bad patches. Keep trading, keep learning and honing your skills, and you may well re-gain what you have lost plus earn a tidy profit on top. Kocurrency: A cyrptocurrency price prediction market and insights platform. Cryptrader: An extensive range of charts and technical analysis charting tools for altcoin traders. Hey do you use also bit.ly/cointracking ? I was using Excel for tracking my altcoins. Now using these amazing reports for tracking my gains. Works also on Kraken and co.
Why are you advertising http://bitcoinmultiplierx100.com/ They are known fraudsters. This kind of advertisement gives your site a poor reputation. I use a couple of ad networks and can’t manually approve all the advertisers, but I’ll look into this, thanks. I have decided to remove the ad unit that this was showing up in. Thanks for your feedback. Thank you for the useful artical. Do you have any experiences on cryptotrader? Thanks for the great article. 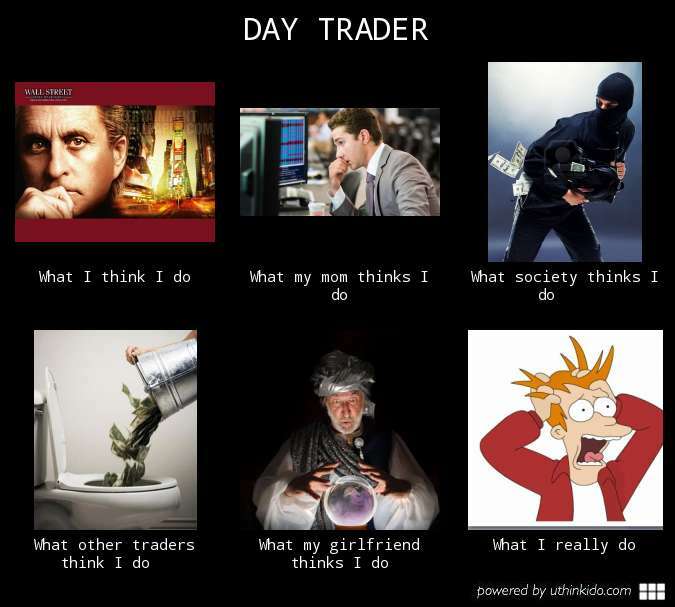 I am thinking of doing some small trading and enjoyed this immensely. Could you maybe cover the basics of trading as well? this is an old article. any new updates? We are going to arrange a huge pump in few days once we reach minimum 200 members. We are trying to reach good investors who will do pump with us. Our first pump is expected to reach 700% target. This channel is created to do huge pumps jointly for big profit. We do fair pumps regular basis.